5 weeks of steelhead and it should be good! 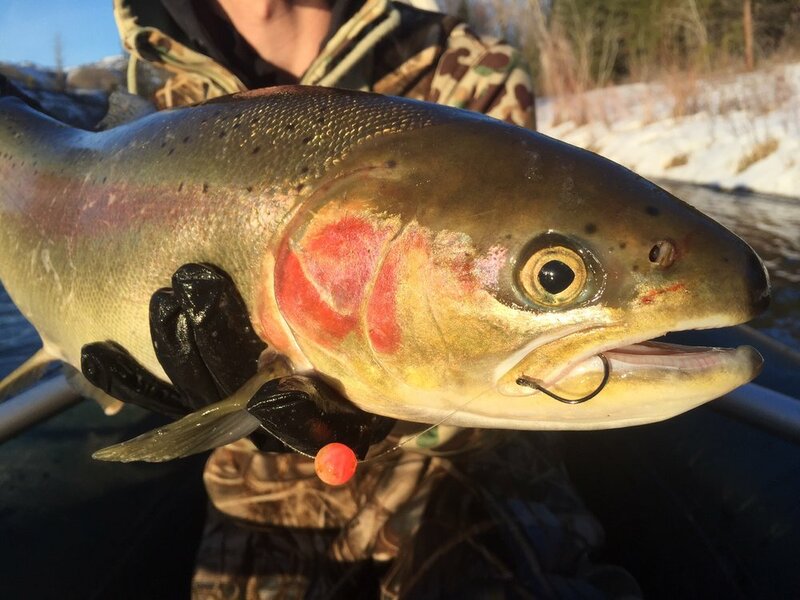 We have spring like conditions in late winter and its making for some pretty good fishing! 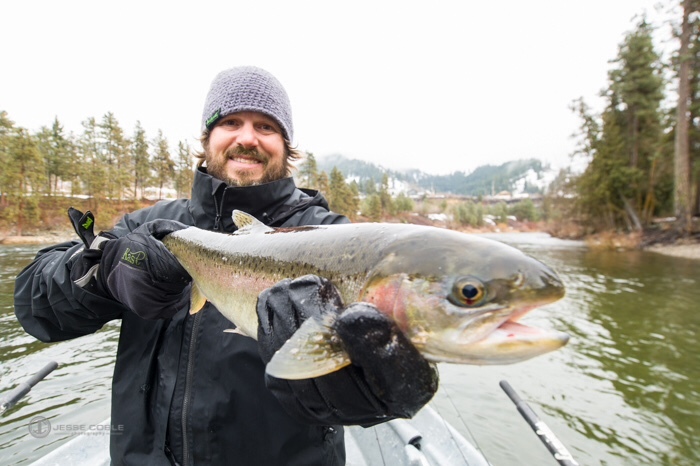 The Methow and Wenatchee rivers have been high but are dropping nicely and I think they should stay in shape for a while but with this crazy weather you never know for sure. 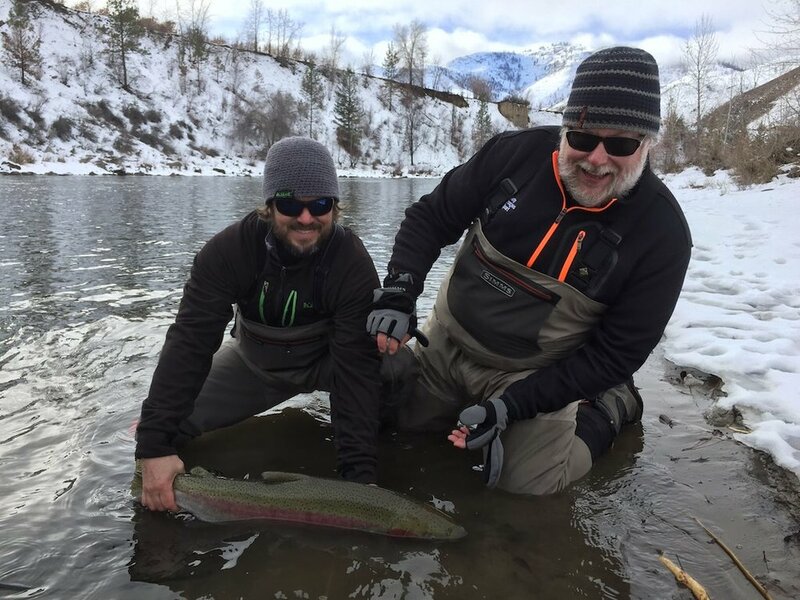 We are fishing the Methow and Wenatchee rivers right now floating in either our Star Inflatables raft, or the lap of luxury in our Clackacraft ClackaMax driftboat depending on conditions. We are running a combination of jigs and Steelybeads under a jig with mostly fixed floats. 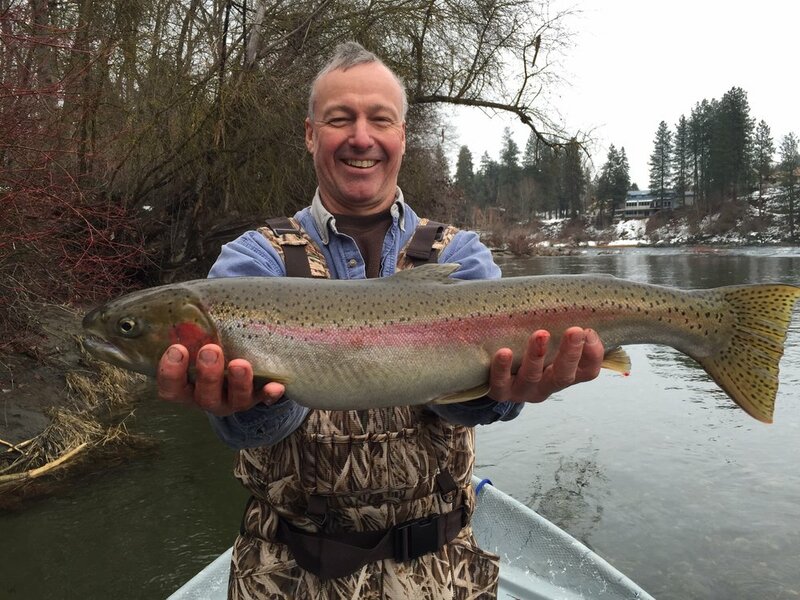 The fishing should stay good through the end of March when it is scheduled to close. The conversations i have had with WDFW are sounding like it should stay open through the end, they evened opened more river today. 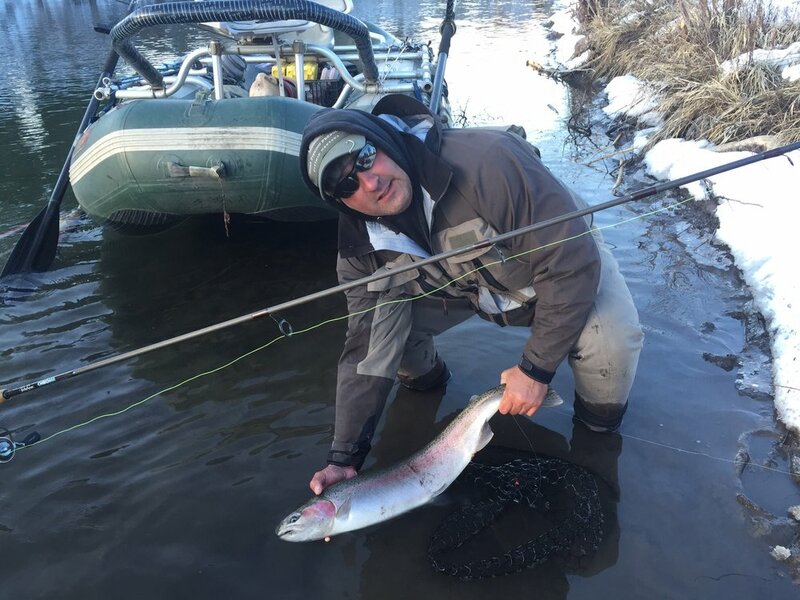 I got the announcement today that they opened the Wenatchee river all the way to 400' down from Tumwater dam opening up some more bank access in a pretty cool area to fish.I have some days open for steelhead as well as booking trips for Lake Chelan kokanee. 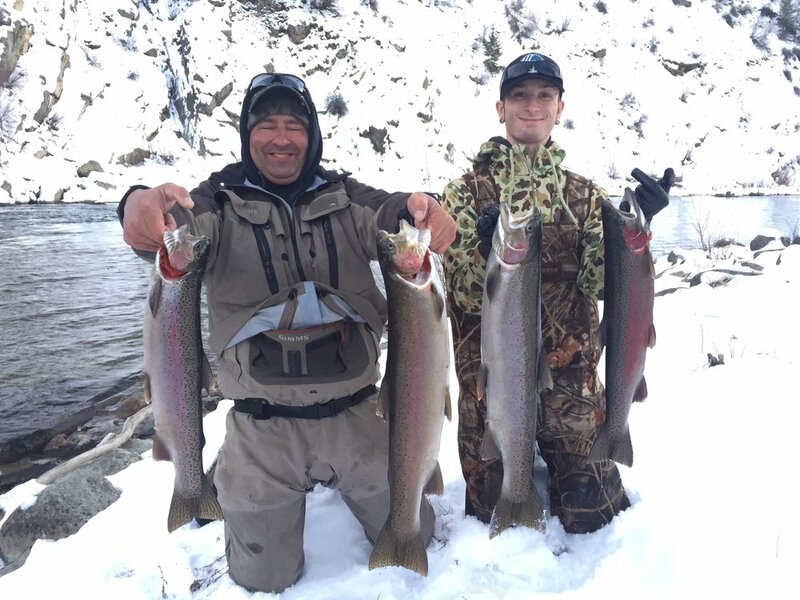 Lake Chelan trout and kokanee are some of the best family trips we offer all year. If the early season is any indication it should be a great season! 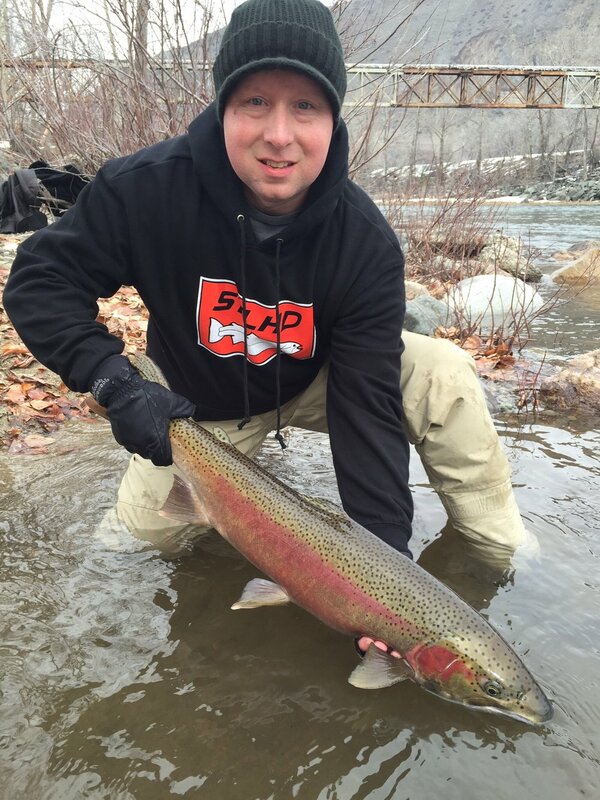 Here are some pictures from the past few weeks of steelhead fishing. Sign up for the mailing list and get specials on trips and pertinent fishing info, just name and email are required. 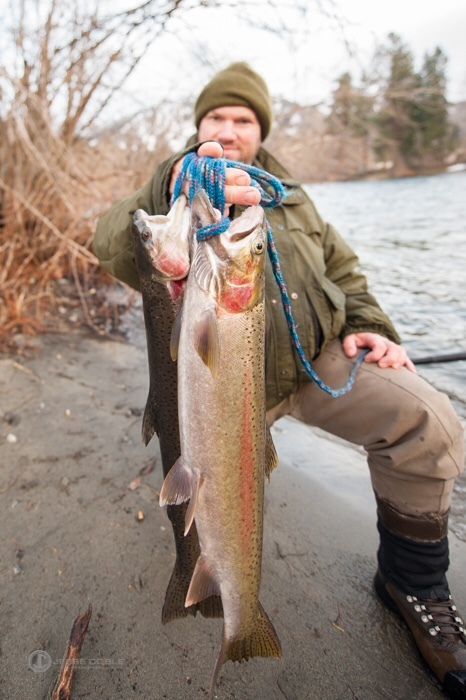 Some of the best steelhead fishing is now! We don't share information with anybody.